I get a fair number of emails and calls from former colleagues and friends asking for career advice. I’m always happy to provide it and the process of doing so is both thought-provoking and fun. I have a learned a lot from having these conversations and have noticed a few patterns and principles in that process. I’ll share them in this post. You are responsible for your career development. Some folks, particularly at larger companies, seems to think the onus is on the company to provide career development for you. While I’d say it is indeed smart for larger companies to do this as a retention incentive, it does not change the simple fact that you and you alone are responsible for your career development. You can use company-provided mentors, coaches, courses, rotations as help, but in the end — at the risk of sounding existentialist — you and you alone will have to live the results and ergo you and you alone are responsible for your career development. Don’t confuse assistance with responsibility. Brands matter. People are going to look first at where you worked and then second at what you did. So if you have an MIT MBA, then worked at Salesforce for 5 years, and then did 3 two-year stints at failed startups, it’s time to go to NewRelic or Zendesk or some other hot brand to polish up the resume. You need to actively manage the brands on your resume. It’s fine to take risks and if they work out well, then great. A failed startup or two is a red badge of courage in Silicon Valley. Just don’t get too many of them in a row. Do new things at your current employer. Beware any employer willing to hire you to do something you haven’t done before, because in theory they shouldn’t be willing to. If you look at the matrix below, companies will periodically give new opportunities to known performers in order to help develop and retain them. But why would you ever hire a total stranger and pay them to learn on-the-job in doing something they haven’t done before. When you move across companies you should plan on doing things you know how to do, and thus when you are at a company and performing well, you should be pushing to learn new things. Don’t take job B and hope to switch into job A. Because brands matter, people are sometimes tempted to join a great organization in a bad job. “I’m really a product marketing director, but the only job they had open was competitive analyst, so I’ll take that and switch.” There are two problems with this logic: (1) the second you join the company as competitive analyst you are a competitive analyst (you’ll be the only person thinking you’re a slumming product marketing director), and (2) if you are not great at job B then you probably won’t be offered job A. Sometimes people do this strategy and pull it off. But at least understand the risk: it’s a Hail Mary play if there ever was one. Categories matter. In addition, you need to manage the categories in which you work. You might see yourself as a general software marketer, but if you’ve worked at BEA, Oracle, VMware, and Cloudera, the world is going to see you as a middleware / database / infrastructure person and you will have trouble finding, for example, jobs at SaaS applications companies. Be mindful of the positioning you are creating by virtue of the categories you work in. The world does not see you as a generalist. Boxes matter. Like it or not and for better and for worse, Silicon Valley — the valley of innovation — is incredibly “in the box” when it comes to hiring. Companies want to hire experienced people in known roles. This means you need to be careful in managing your career because sometimes companies create unusual roles (e.g., chief of staff, certain CTO roles, certain VP individual contributor roles, various special project roles) that might leverage your strengths and meet your interests but end up damaging your resume. While it can be fun to spend some time out of the box, be careful that you end up on no headhunters to-call list. Put in reverse, how many people are going to to call a headhunter and say “get me a senior product manager out of Salesforce” vs. “get me a interdepartmental facilitator at Unicornia.” Some new roles (e.g., sales productivity) get institutionalized and become “normal” over time. Most don’t. Take the time to network, but with the intent to do your job better (e.g., best practice sharing), not with the intent to find your next job. If there’s no obvious “club” at which to do so, then make your own. One of my CMOs called our board members for referrals and created a portfolio-company CMO club that met once/month to share best practices. You’ll get both better connected and, more importantly, better at your job. Take the Time to Network – I wish I had understood this sooner, and probably still don’t. When you create networks within the organization you work for, and then extend those into cross-organizational networks, that benefits your current employer. Career planning benefits your current employer. Keeping your resume up to date benefits your current employer. Even interviewing with other organizations can benefit your current employer if it gives you a better appreciation of the value of where you are. That’s counter-intuitive. Basically, don’t be afraid to leave, don’t be afraid to stay; be informed instead. Quite on the spot…The whole stanford thing is quite funny and sadly true. I wish they would stop. 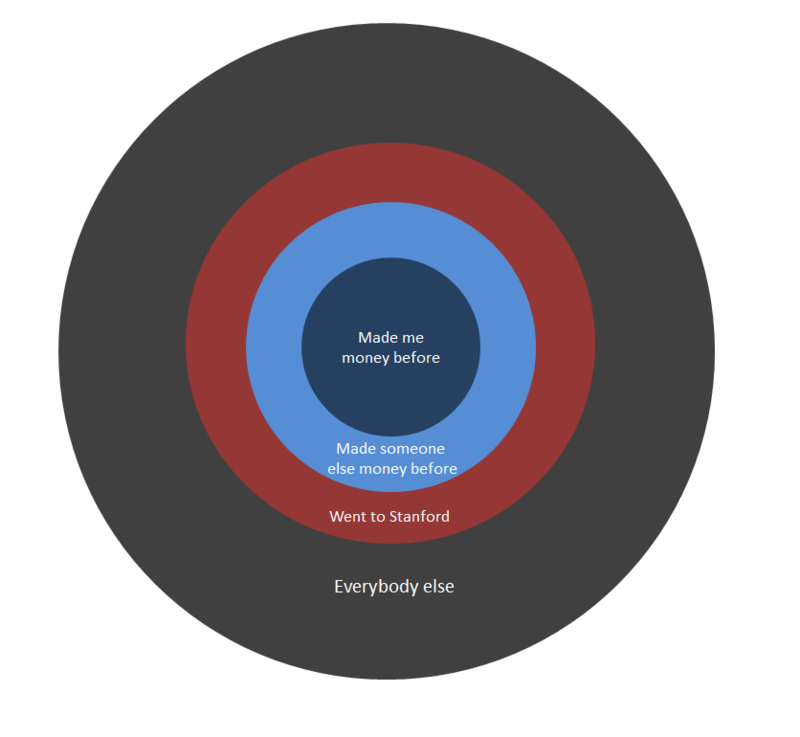 There are way too many ill conceived Stanford started ventures these days or even worse, they are mostly all funded. It worries me that it would precipitate the whole dot com fiasco too soon. Great article, very useful and I’m definitely sharing it with my clients to show them the reality of the tech industry in 2016, where you still have to fit into particular boxes and categories when applying for jobs and to pass through interviews. The reality is that the interview and job application process have been changing very slowly and clients need every advantage they can get such a tech job interview coaching or career coaching to move up to the job they want.